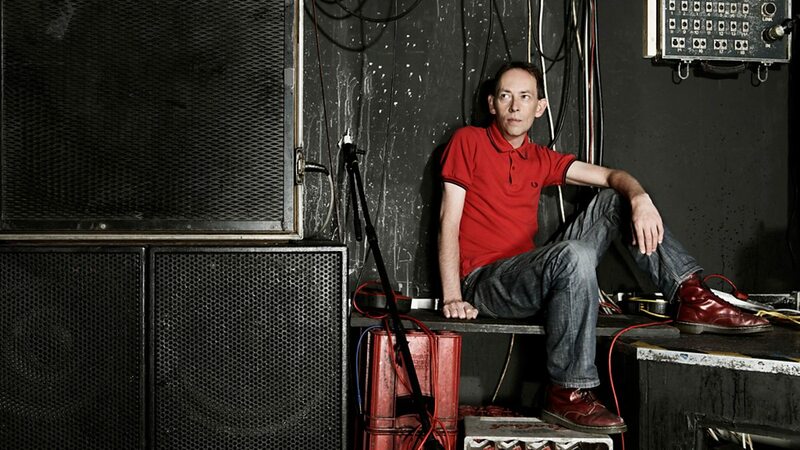 Steve Lamacq is a legendary BBC radio presenter that has been championing life-changing bands for thirty years. 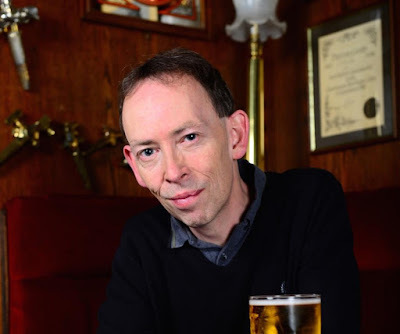 Affectionately known as 'Lammo', he began his career as a sports journalist and fanzine writer before being recruited by the NME and DJing on the then-pirate radio station XFM prior to moving to BBC Radio 1, where he fronted the hugely-popular Evening Session with Jo Whiley, helping to break Oasis whilst sending acts like Pulp, Blur, Suede, The Chemical Brothers and The Prodigy into the mainstream stratosphere. Lammo has also been a record label boss, Top of the Pops presenter and Sony Lifetime Achievement Award winner. He has been presenting a daily programme on BBC 6 Music since 2005 and recently completed a tour of his one-man show, Going Deaf For a Living. I caught up with Lammo to talk about the show, presenting Top of the Pops, John Peel, signing Elastica, T-Shirt Day, putting Oasis back into context, the importance of independent venues, the supposed death of guitar bands, remixing Ant and Dec, being more starstruck around Colchester FC players than musical aristocracy, the value of 6 Music and tonnes more. Read The Work Trials Steve Lamacq interview below. Was the one-man show something you’ve been wanting to do for a while? Why did now seem the right time? I’d never really thought about doing something like this before, but me and my producer Tom were at Latitude a few years ago and I thought ‘that sounds like Stuart Maconie!'. It turned out it was him in the literary tent reading excerpts from his book from a tablet with a whole load of people laughing, and I wondered ‘do people do that?’. Tom said ‘you could do something like that’, and around a year later I thought, if we took the idea, maybe taking some stories and some of my batshit theories about pop music, maybe we could do something like ‘An Evening With...’. I got around to writing it on a week off, and it went from there really. So, with thirty years of anecdotes to draw upon, are you planning any more dates? Well, some bits are patchy and I don’t remember parts that well if I’m being honest, but hopefully we can do another little run in May and an extra one around the end of the year if the demand is there. We’re thinking about possibly doing some shows in some actual venues rather than comedy clubs and theatres – possibly live music venues like the ones I’ve grown up in to give it an extra context, maybe like the Brudenell Social Club in Leeds. I was thinking of doing a series of dates around the south, maybe around York way, possibly going through the east coast, coming back via Sheffield and ending up around Manchester. The agent is the one with the tour map, he’s the one who knows. 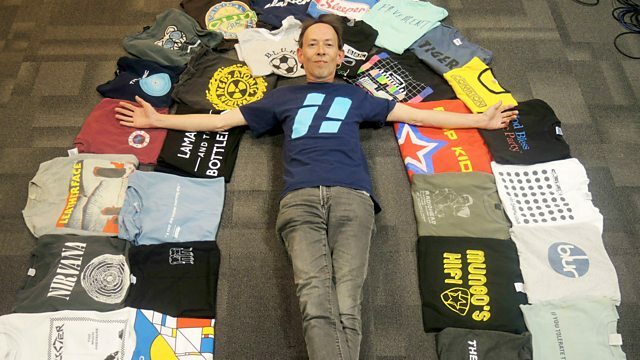 How did T-Shirt Day go and what inspired it? Was it fuelled by seeing Made in Chelsea types wearing Ramones T-shirts and that kind of charade? I think it was some kind of terrible magazine that was left lying around like Heat! with some bright young thing in America next to someone else wearing a Nirvana T-shirt, and I thought ‘you’ve probably not even heard a note of their music, never mind having any understanding of what these bands stood for'. Then Top Shop started selling band T-shirts, and I started thinking ‘you do realise that the band T-shirt means a lot more to us than being some sort of fashion accessory?’. In that kind of irritated mood I sometimes find myself in, I just thought ‘let’s stand up for the rights of the T-shirt, let’s make sure people actually know what a band T-shirt really means to a music fan’. It was a moment of ire, stood outside the pub where I’m standing outside right now. I went back in and told my team about the idea. We had about 40 T-shirt photographs the first year, but then it just grew and grew and started resonating with more people. It’s nice to see and get the listeners involved, throwing out the playlist and playing the music that relates to the T-shirts people are wearing. It puts us, as a network, back in touch with our listeners. When 6 Music is good, its strength is understanding and being close to its audience. I think 6 Music plays a lot of things commercial radio would never touch. When you look at the Radio X playlist, it’s laughable in the way that it playlists multiple songs by the same veteran bands rather than taking a risk with something new, which definitely highlights the value of what the BBC and 6 Music do. Obviously, commercial networks need to reach out to as many people as possible, but it’s important that we never underestimate just how inquisitive how some music fans are. 6 Music listeners are always interested in what else is out there, so it’s our job to give them a reasonable representation of things they might not always come across. You appear to be more active on social media recently. What are your opinions on social media in general? It think it’s alright if you’ve got the time. I do have a quick shufty, but I don’t always have the time. It offers another avenue for artists to send you music, which is good, but it’s another addition to the pile of stuff to listen to, so there’s a lot of things to listen to at the end of the week. You have to listen in bursts or your ears go tired. You either start to think that things that are half-good are really good, or you begin to think that things that are good are rubbish, so you have to do around two hours or so at a time. The only time I went to Peel Acres, John’s office consisted of a typewriter and a turntable, with a whole binful of demos. Obviously the bin was full of things that he was going to listen to rather than throw away, but right behind him were all the Fall albums. He said that, if he lost the idea of where the bar was set, he could put a Fall album on and remember where the barometer was, which determined what the right music was about, so you could listen to a record and decide whether it went higher or lower than that. 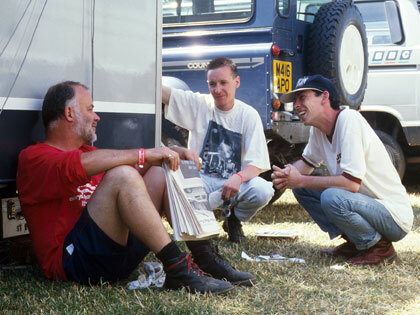 What are your favourite memories of John Peel? Really just being able to knock around with him. We had two or three outside broadcasts, including a Radio 1 event in Brighton where we were staying in the same hotel. We’d do the gig and shows then have a late one in the bar before we got a bottle of wine and put it in front of John, not letting him go to bed until he’d told us a bunch of excellent stories. Those were excellent nights. We’d also bump into each other at Glastonbury and so on. When I was first told the Evening Session was going to be axed, we went into Needles wine bar round the corner from the studio and he gave us a bit of a pep talk, and I think that was one of the things that helped me clarify what to do and stopped me going slightly mad. You really appreciated his presence, and I think the thing that we’ll never get over is the fact that we don’t quite have the same moral compass or stamp of authority even with 6 Music that we all should aspire to, which John set merely just by being there. With him gone, I’m not sure what there is for some people to aspire to really, as much as he has left an amazing legacy. Whilst we’re on the subject of unlikely Top of the Pops presenters, you fronted the show several times in the mid-nineties. Before you were recruited, was the idea something you’d even thought about? Ric Blaxill was a producer at Radio 1 before he moved to Top of the Pops, and he phoned up out of the blue to ask if me and Jo Whiley wanted to give it a go. It was a surreal time anyway, but I remember bumping into my former NME colleague, Fierce Panda boss Simon Williams, and he asked me ‘are you coming to the Bull and Gate on Wednesday? and I said ‘oh no, I can’t, I’m presenting Top of the Pops’. And at that moment, it suddenly sank in, and I thought ‘I’M PRESENTING TOP OF THE POPS?!!! How’s that happened, this can’t be right?!!’. It was very odd, going into the dressing room and make-up, standing next to Jo, and thinking ‘I’m presenting Top of the Pops, here's the Spice Girls'. I recently watched the one you presented when Simply Red were number one with Fairground on YouTube. Oh my, oh my. I remember one episode where I had to back-announce Menswe@r, and then introduce Cher, and I never thought that would happen to a kid from the sticks. A lot of people say that when Top of the Pops was at its best, it was just an insanely bizarre variety show. It absolutely was - you should have seen the bar! A lot of people used to hang about, the mix of musicians on any one show put in a room together was just very odd and surreal. It was great, but a very nerve-wracking thing to do. I may be a bit of an Oasis-sceptic myself, but it must have been very exciting to play them for the first time just a few weeks or months after you took over the Evening Session. They are obviously divisive and get slagged off a lot, but can you remind us why they were such a breath of fresh air at the time? It was an odd time for music. 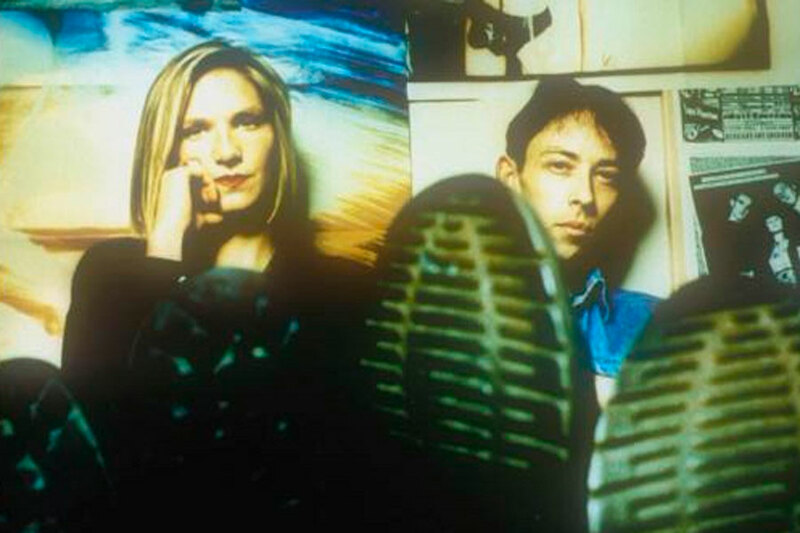 The UK was producing a lot of interesting bands, Ride were making a few interesting records but didn’t seem to know where they fitted in, there was the wave of shoegaze that didn’t seem to have much direction and we’d been in thrall to grunge for a while, with a lot of grunge-influenced bands from the UK coming along. I think one thing to put it into context is the fact that the first two Evening Session sessions in 1994 were Eugenius then Oasis, with Oasis being the new and the former being good but clearly not getting any further. Another thing about Oasis and other bands is that they had a lot more ambition than some of the previous wave of indie bands, and I think that form of boldness and swagger was really necessary to push us on. When I was talking to Noel the other day, I recalled the time when I had a pre-release cassette of the second album and I couldn’t stop listening to Don’t Look Back in Anger. Me and Jo were at the bar at the 1995 Mercury Music Prize and Noel came along, and I just bored him senseless for minutes about how it was such a brilliant song that was going to mean so much to so many people. He just looked at me as if to say ‘shut up, man!’. At the time, they were just very important. Even I must admit 1994-97 Oasis had their moments. I even like bits of Who Built the Moon?, especially Holy Mountain. Yeah, there’s some belters on this new record. There’s parts where you think ‘I understand how you’ve got to that because that’s the thing you would have expected from the first High Flying Birds record’, but there’s things like If Love is the Law, which is a really powerful and emotive sort of soul track. There’s a mixture of things which he’s attempted and managed to pull off, and I like the way he’s done something different and created an environment where he’s out of a safe, sit-at-home, knock-out-a-song-a-day means of working. Did you always have broadcasting in mind even when you were a sports journalist? I had it in mind when I was 11! In the second week of high school, my arts teacher told us to draw what we wanted to be, and I drew a man with two record players and said I wanted to be a DJ, but she just shook her head and said ‘you’ll grow out of it!’. Obviously I did for a bit, thinking there was no way someone from a tiny Essex village was going to be a DJ, so I instead decided writing about music was the only way I was going to get into the industry. I started writing a fanzine when I was at school and carried on through college and into my time at the Harlow Gazette until I got my break at the NME. I really started thinking about radio again when I interviewed Sammy Jacob who ran the indie pirate station and soon afterwards asked me to do a show. I did three hours each Saturday on Q102, which eventually turned into XFM. Which I imagine was a very different XFM to the one that is now Radio X? Yeah, very different. We had to pay him £10 a week to go on air. The money went into a kitty because every six weeks Ragga FM would nick our aerial. Can you tell us about running Deceptive Records and signing Elastica and Idlewild? I did do that for a while, but eventually I had to pack it in after Idlewild because there was a bit of a conflict of interest with the Evening Session. With Elastica, I’d been hanging around with a lot of A&R people including people in publishing, and there was a really nice guy called Mike Smith who’d heard about them and agreed that they were really exciting. We went to see them at the Falcon in Camden, and they were already playing to massive crowds. They were then forced to perform out of town just so they could basically learn how to play live properly without loads of people turning up. One of the reasons it was so exciting was that we’d made the conscious decision to go vinyl-only to remind people how thrilling records like Teenage Kicks and (White Man) In Hammersmith Palais were. We thought we would make a record that sounded like Hammersmith Palais with a picture label that looked like Teenage Kicks. That’s how we sold it to Justine and the rest of the band and thankfully they said yes. I think Elastica are one of the Britpop bands that has aged the best. Yeah, I think the impact it had on girls as well as boys was very important. Within a year, you’d go to an Elastica gig and the entire crowd would look like Justine or Justin, and you just thought ‘the charity shops round here must have no stock left!’, being absolutely pillaged by people trying to find old granddad jackets and collarless shirts. The whole movement suddenly gained its own momentum, and I think the 1993 changes at Radio 1 helped, giving a lot more airtime to things that were trying to come through. Speaking of live venues, you have done a lot of work to promote and save smaller venues over recent years. I’m a supporter of live venues as much for the music as the fact they are a place where people who don’t really fit in anywhere else can go. It really is about community – I used to go to the Bull and Gate in Kentish Town about three times a week, not just for the music but to meet other people and talk about it and discuss other stuff. The Harlow Square, which was my local when I was at college and the local paper, was a place where I did a lot of my growing up and met so many people. It’s important to remember that I came from a tiny village in the north east of Essex which has a current population of 1,003, and I knew very little but learned so much hanging around these venues. As much as it was terrifically exciting watching bands, which I love, you could turn up on your tod and get chatting to someone about records, and you’d come home with lists and notes of albums and books people had suggested. It was an education to me, and I would hate it if the next generation didn’t have a place, now that we have lost a lot of record shops, to meet like-minded people. I know you can do it online, but there’s something different and more engaging about actually being in a room full of people who think like you do that you can have a decent conversation with. The idea that local councils don’t understand this and the fact there is ongoing gentrification in major cities, allowing these venues to close down, is very narrow-minded and it makes me quite angry, as you can probably tell! You’ve been interviewing musical aristocracy for decades, but do you ever still find yourself starstruck? Is there anyone on your wish list? I think I’ve done everyone that I want to do. I have been offered John Lydon a couple of times but I didn’t want to ‘break the spell’ really as he can be quite awkward so I turned it down. It sounds incredibly arrogant to say it, but I was lucky in that I interviewed a lot of people on the way up like Nirvana at the NME. I think the only people that really make me starstruck are the players from Colchester United FC as they do something I can’t do, and there’s just something about them being out on a pitch. These are League Two players, but for some reason I absolutely clam up. If I see the goalkeeper Sam Walker, I think 'oh my God, what am I gonna say?!!'. I'm far more fanboy with them than I am if I bump into Jarvis Cocker in the street. Over the past decade, there’s been a lot of talk about the ‘death’ of indie-rock, and I suspect a lot of it is to do with guitar bands rarely denting or being within close reach of the Top 40. What is your response to this? Indie obviously doesn’t have the profile it used to have, but you can see that it is healthy just by all the bands that are out there. I think there is a weird North-South divide at the moment – if you were to go north of Watford, a lot of people would tell you that guitar music was thriving. It may not be in the charts – there is a lot of it around but it’s not hugely represented in the mainstream media down here in London, I don’t think. I think we are still getting bands coming along that are doing interesting things. There are a lot of parallels with the post-Britpop era, where bands like Mogwai and Belle and Sebastian were given more space to move, and it brought us Ladies and Gentlemen We Are Floating in Space, OK Computer and all those sort of records, with that style moving closer to the periphery, so in that way we’re still getting a lot of interesting stuff like Nadine Shah and IDLES for instance. They may not have a mass audience at the moment, but they really mean something to the people that listen to them. Guitar-led music can’t be doing too badly considering Liam’s first-week album success. Yeah, that album’s fine, isn’t it? He’s done well! It’s better than I expected it to be! You’re obviously heavily-associated with guitars, but your tastes don’t end there – you even played Kerncraft 400 the other day. Do you have any favourite non-indie records? There’s an amazing disco record from 1978 called Shame by Evelyn ‘Champagne’ King – the greatest disco track ever made and the first single to make the UK Top 40 on twelve-inch sales alone. There’s all sorts of things – I really love the Glasgow reggae collective Mungo’s Hi-Fi at the moment because I adore old-school-sounding reggae. I was very lucky to attend that for the first time at the 6 Music Festival in Glasgow. It was just full of young people dancing to old records and new ones with an old-school feel. I was very intrigued to find out you remixed Ant and Dec back in 1997 – how did that come about? Ha ha ha! When Jo was on holiday, we used to do co-hosts, but we decided to carry on doing the odd one here and there after she left the Evening Session in 1997. At the time, I think they’d just changed from PJ and Duncan to Ant and Dec and had released their single Better Watch Out, which was a terrific pop record, and I do like a decent pop song. They seemed like fun lads and I’d heard they were quite into their alternative bands – in fact, one of the first things that first tied them together was their mutual love for the Inspiral Carpets. So, we got them onto co-host – they were heading off to do a PA in Bruges or somewhere but they had half an hour to kill, so we went to the pub afterwards and had a very enjoyable evening, and I jokingly said 'I’ll remix your next record for you, boys!'. I am still stunned when I think about when a man from their record label phoned me up and said 'apparently you’ve offered to remix Ant and Dec'. I didn’t think that would get any further! What did the remix entail? Did you do any new instrumentation or was it just a simple EQ job? They gave us all the bits on a load of DATs and I went to a studio near Elephant and Castle where we took it apart and put a new drumbeat on it, making it a lot faster. It was essentially pop jungle, and great fun. There was a Sleeper remix too, I don’t know if there were any others? No, that’s it. That was my remixing career. Statuesque by Sleeper and Shout by Ant and Dec, that’s the entire catalogue. Finally, a lot of people reading this might have lost touch with you since the Evening Session and Lamacq Live, or they might not have a digital radio or listen online. What can they expect from your 6 Music show? When they get there, they can expect all types of stuff. Loads of stuff I grew up with – it’s basically framed over forty years, although we go a bit further back with The Who and the Stones and that kind of thing sometimes. It’s mainly records which I think have stood the test of time and some oddities which I think will surprise some people. There’s nothing better than someone e-mailing you and telling you they’ve never heard a track you’ve just played on the radio or saying it’s been 20 years since they heard a song you've played – the other good thing is when you play a new band and somebody hears it and buys the record or goes to one of their gigs and thanks you for introducing to them. I went to see IDLES the other week and four or five people came up to tap me on the shoulder and tell me they’d first heard them on your show – you still just think ‘that’s really what it’s all about’ - taking somebody that’s been overlooked elsewhere, giving them a platform and letting people decide. That’s exactly the same mentality as I had when I started my fanzine when I was 17. In terms of the music you hear on the show, it’s probably about 65% stuff you’re given and 35% free plays but it can vary from day-to-day. You get far more leeway than you would anywhere else. You can hear Lammo on weekdays between 4-7pm on BBC Radio 6 Music. Visit his website, Going Deaf For a Living, by clicking here. Oh, and all images copyright of their respective owners.